Former Russian Imperator Nikolai I as Japanese Training Ship Iki. Photograph from "History of Russian/Soviet Battleships". 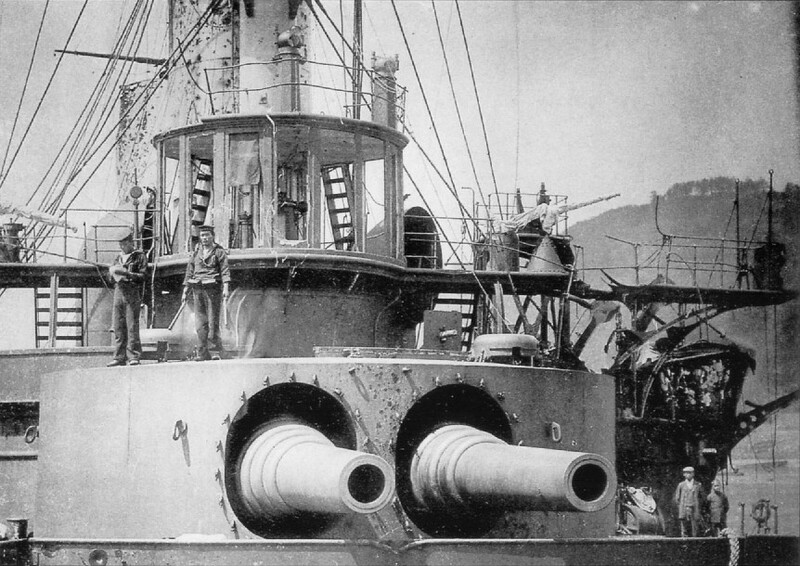 This gun was used on the early Russian pre-dreadnoughts. By 1917 only 2 remained in service on board Imperator Alexandr II. Imperator Nikolai I surrendered after the Battle of Tsushima (Battle of the Japan Sea) and then served as the Imperial Japanese Navy Training Ship Iki following the Russo-Japanese War. ^This is maximum distance given in the Range Tables, but the elevation is not noted.